When you’re in the mood for an easy-to-make yet flavorful drink, you really can’t go wrong with a margarita. But with so many different types of margarita recipes out there, it can sometimes be difficult to know which types of foods will pair best with your margarita–especially if you’re entertaining guests. Not to worry! We’ve put together a simple margarita-food pairing guide that’ll have you pairing tequila recipes like a pro in no time. The great thing about this recipe is that it’s delicious and versatile; available both on-the-rocks or frozen, the food-pairing possibilities for the classic margarita are endless. 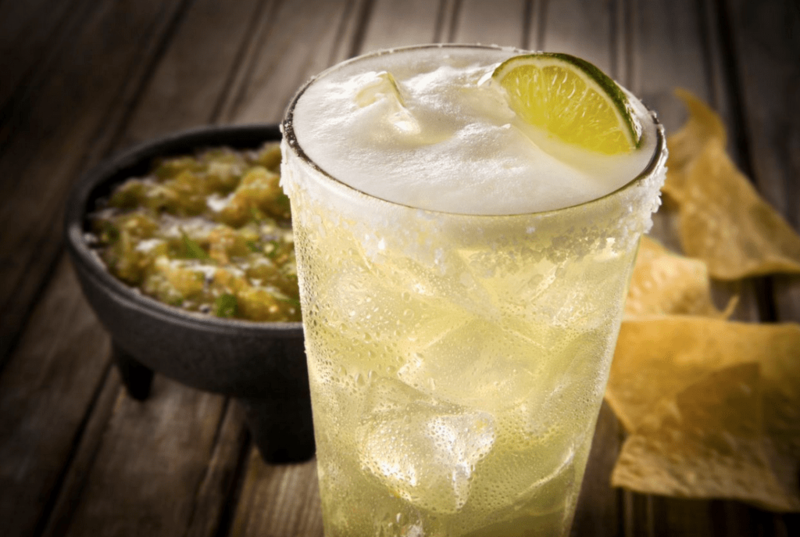 For those who aren’t familiar with the classic margarita recipe, it includes two ounces of tequila, an ounce of Cointreau, and an ounce of fresh lime juice. If you’re serving this up on-the-rocks, consider complementing the classic margarita’s lime flavors with a chicken or shrimp dish that’s marinated in lime juice (shrimp ceviche, for example). If serving frozen, consider going with the “opposites attract” mentality and pairing it with something spicy, like a fajita or a stir fry. The spicy margarita is sure to get your taste buds howling. Complete with two slices of jalepeño and some fresh cilantro, you really can’t go wrong serving this up at your next cocktail party. And perhaps the best thing about it is that there are plenty of great food pairings (both appetizers and main dishes) that go well with it. For complementary flavors, you can serve this drink up with any kind of spicy dish; jalepeño chicken poppers, cajun chicken, and spicy beef skewers are just a few simple yet delicious pairings to consider for your next cocktail party. If you really want the flavors of the Cointreau to stand out, however, you’ll go with a more mild dish, such as mint aioli or grilled vegetables (asparagus, broccoli, etc.). Finally, you can add fruit flavor to any classic margarita by incorporating fresh fruit and fruit juice, such as strawberries, coconut, pineapple, or anything in between. Fruit margaritas can be served on-the-rocks or frozen, but regardless of how you serve them, they tend to pair best with mild and sweeter foods. Specifically, you can’t go wrong serving up a fruity margarita with an appetizer of fresh fruit salad or even a dessert of sorbet. Generally, spicy foods don’t pair well with fruity margaritas because the spiciness in the food tends to make the acidity in the drink taste too bitter. However, when it comes to how to drink a margarita, there’s really no right or wrong way – so enjoy what tastes good to you! As you can see, there are plenty of great food-pairing options out there to enjoy with your margarita. Whether you’re into the classic margarita, spicy margaritas, or fruity margaritas, you can be sure to find a food pairing that will complement your drink and bring out all the best flavors as well.